I’ll be completely honest. 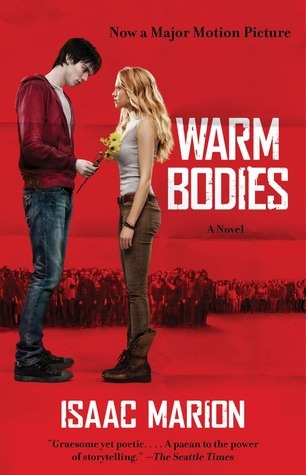 I only read Warm Bodies because my brother told me to. (It’s the first book he’s ever recommended I read, so how could I say no?) I am not a fan of zombies. Really, I’m not a fan of anything apocalyptic anyway, makes me sad and want my mommy and daddy. That being said... I loved Warm Bodies. 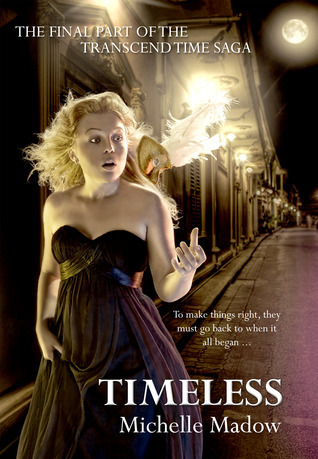 I found it completely originally and unlike anything I’ve ever read before - aside from the fact that it’s a zombie novel. They even talk a little. Usually one or two words at a time with long pauses in between. After R meets Julie he’s actually able to get six syllables out in one sentence. I loved R’s one comment about how they talk: “I long for exclamation marks, but I’m drowning in ellipses” (51). Despite the way they talk aloud, R has no trouble thinking coherently and forming thoughts, which made for beautiful narration. I didn’t understand why Julie wasn’t so initially afraid. Regardless of a talking zombie, I would still be petrified if a zombie abducted me - for lack of better words - and kept me in his airplane... so the zombies of the airport wouldn’t get me. Never mind this zombie was just part of the group of zombies that ate all my friends, boyfriend included. She was very calm about the whole situation and I thought it weird. The relationship between R and Julie was very cute and I loved the progression. It’s not every day you see love blossom between a girl and the zombie that just ate her boyfriend. I very much enjoyed this plot and the characters. It’s not your typical zombie book in that it does and doesn’t feel like one. So if you’re not a fan of zombie (like me), you’d still enjoy this novel. If you are a zombie fan (like my brother), you'd still enjoy this novel. I’m glad my brother recommended it to me and I’m very curious to see what the sequel will be like. Over at Take Free Bitcoin you may recieve faucet bitcoins. Up to 22 satoshis every 5 minutes.